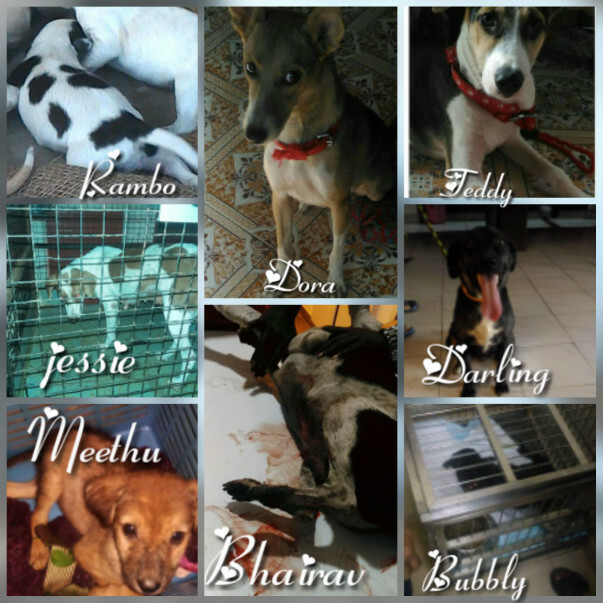 I am Priya Varshini, an independent rescuer from Chennai. This part of Chennai still needs to improve in good Hospitals or Rehabilitation centers. I take my dogs to and fro 40 to 80 km for treatments. I rescue animals on my own, get them treated, release or rehome them. I also get street dogs sterilized and work on Homeless dogs Adoption. 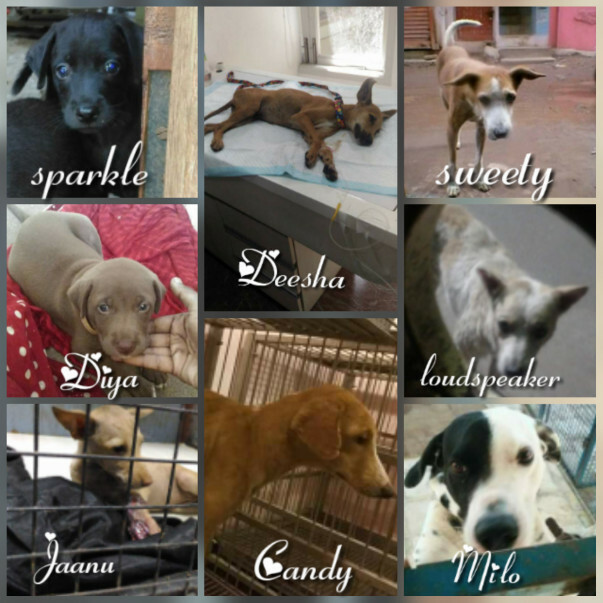 Pups and abandoned dog rescued from accidents or sickness cannot be released back and they need to be rehomed. Sometimes their treatment gets longer. 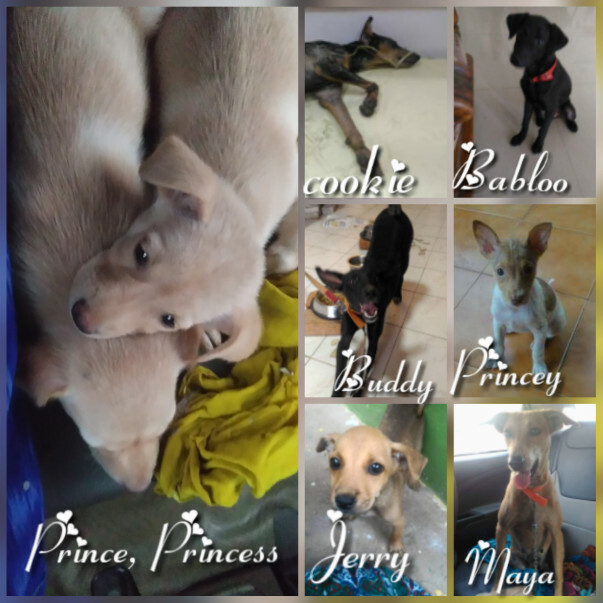 Since I do not have a shelter , I keep them in my house, friends house and paid boardings till they can be rehomed. While I had managed things on my own for the past years, some of the longer treatments and dogs in boarding had ended up in a lots of bills pending. While I settled some of the bills with the help of donors and my own, I still have these bills settled. I also need to take care of long transportations, post boardings, vacvinations, sterilizations and food expense. 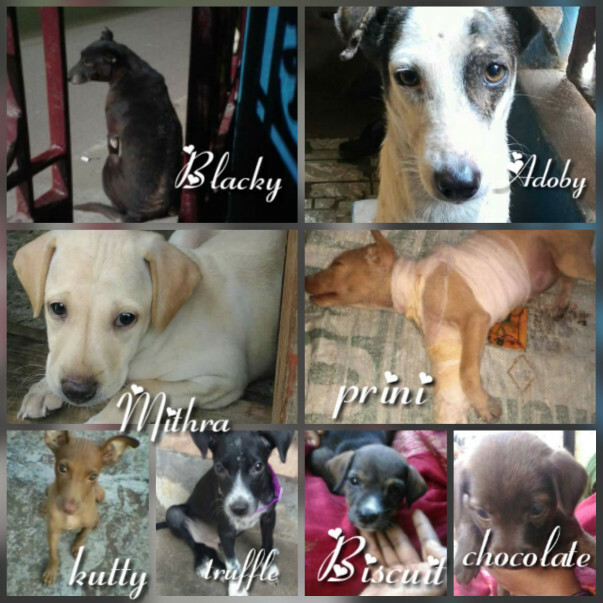 I still have many dogs waiting for their beautiful family, all healthy and recovered completely. I am looking for funds to settle Candy and Milo's pending bills. 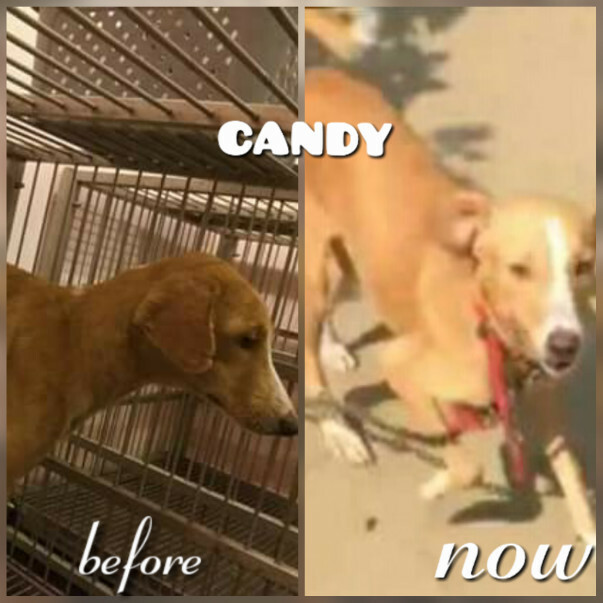 Candy was suffering from tick fever ,mange and was very aneamic. I had to admit her at hospital. After her hospital treatment I put her in boarding since she was totally not fit. It took longer for her to get well. It costed me over 15,000 in boarding. Since the current stay was important I paid those bills while large part of her bill is pending. Good thing is candy got adopted by a beautiful family. 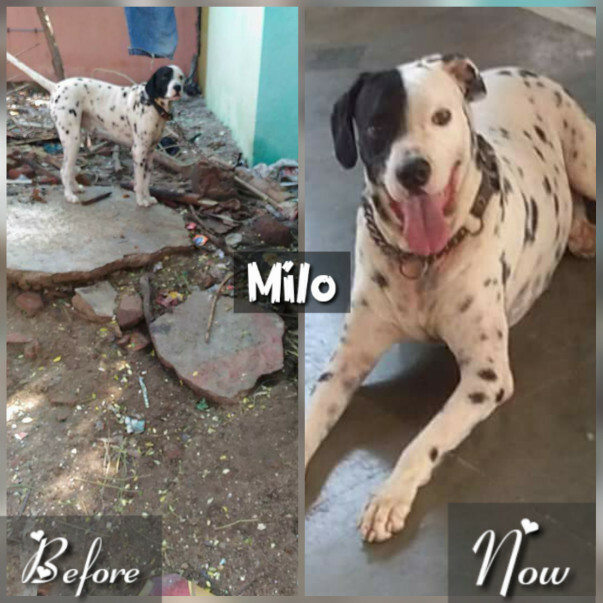 Milo was rescued last November. 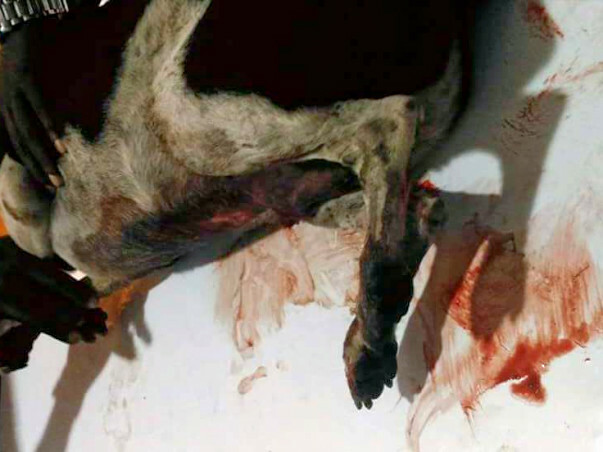 He was tied outside with a short chain.. This boy was very ferocious with absolutely no trust on humans. With a hope he will change soon, I proceeded. Got him neutered. I had put him in two different boardings. First 1.5 months he was in Barking fine, that is where I got him neutered. Later shifted him To Cloud 9 boarding. This is altogether 10th month going on .. . He had shown a tremendous change in his behaviour due to the care which was given to this boy by the hospital and boarding in which he stays.. He started trusting humans. Though It takes time for him to get comfortable with anyone. We have been trying for a house since long. Nothing is happening. This month August end I am shifting him to place 500 km away from Chennai. He has lot of space to run around there and he will be socialized with other dogs there. All I need to pay is his food charge. He will still be open for adoption from there.. Overall It had costed 1 Lakh 35 thousand till date.. Some of These bills are long pending, I need to pay these bills before I shift him in next few days.. Looking for kind hearted people to please help in settlling these bills. Even a small contribution can help. For any details you can reach out to me on 9600167632.